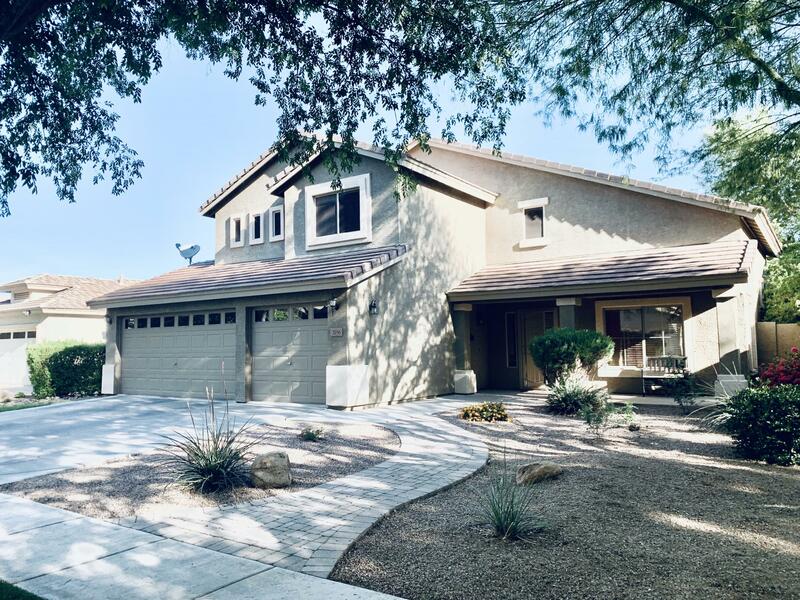 All HIGLEY GROVES homes currently listed for sale in Gilbert as of 04/19/2019 are shown below. You can change the search criteria at any time by pressing the 'Change Search' button below. "5 bedroom 3 bath Home for sale in Gilbert, Arizona, in Morrison Ranch, Higley Groves! Great home for entertaining! Some of the highest rated schools all around! Tree-lines galore! Just a short distance to the lake and shopping. This home is in a highly sought after neighborhood. This spacious vaulted ceiling floor-plan features formal living and dining areas, open family room to breakfast nook and kitchen which includes peninsula complete with bar seating. Beautiful upgraded stainless applianc"